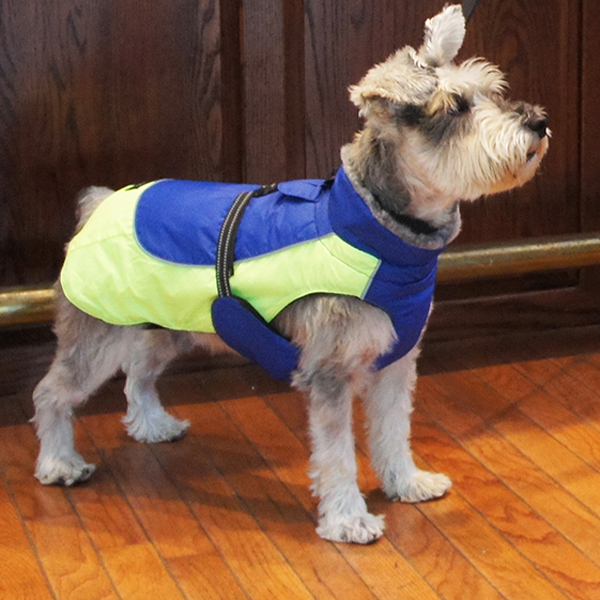 The new Alpine All Weather Coats are designed to keep dogs of all sizes warm and dry in all weather conditions. 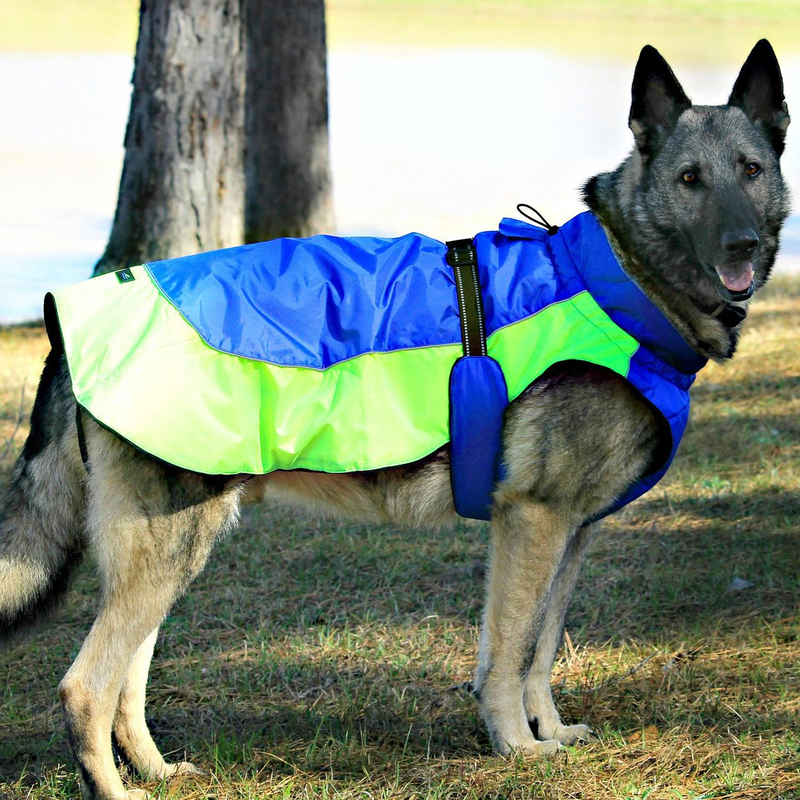 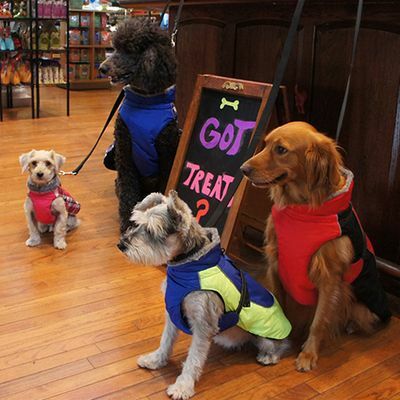 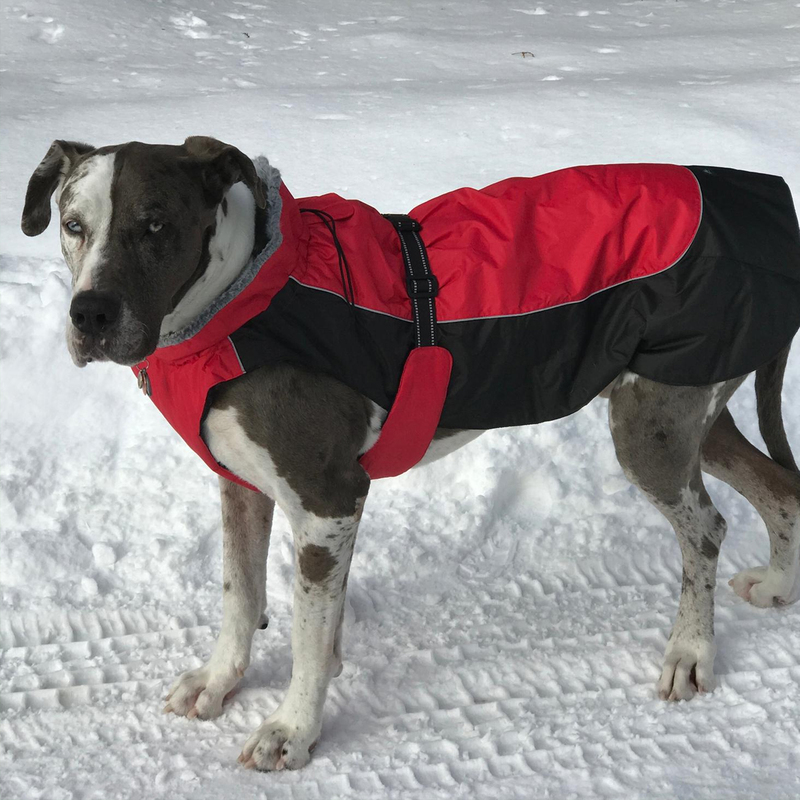 Alpine all weather dog coats are made with a tough, waterproof outer polyester. 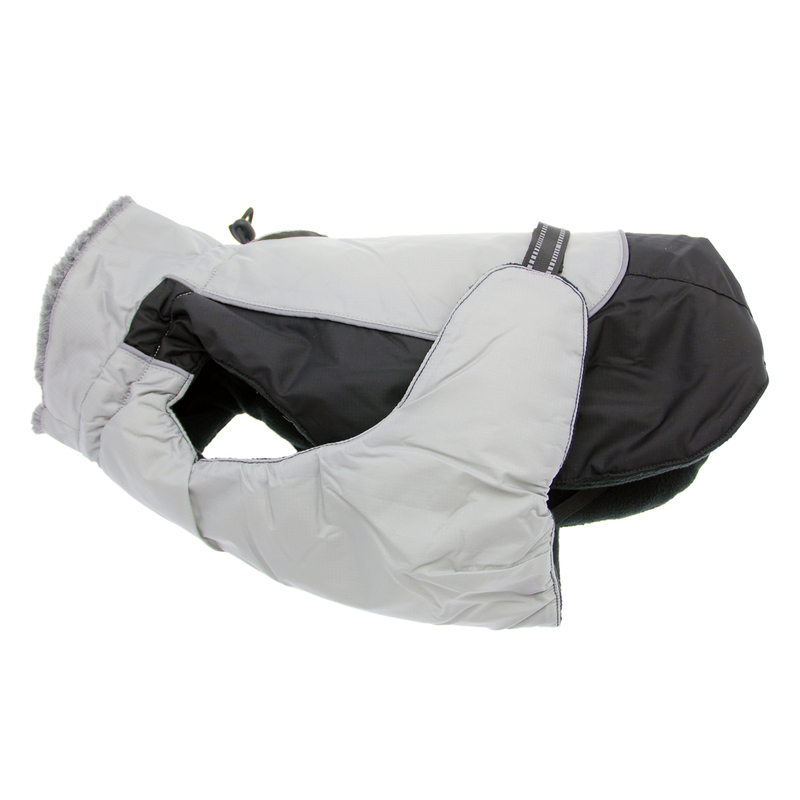 The layers are designed with extra fiber fill for added warmth and protection. 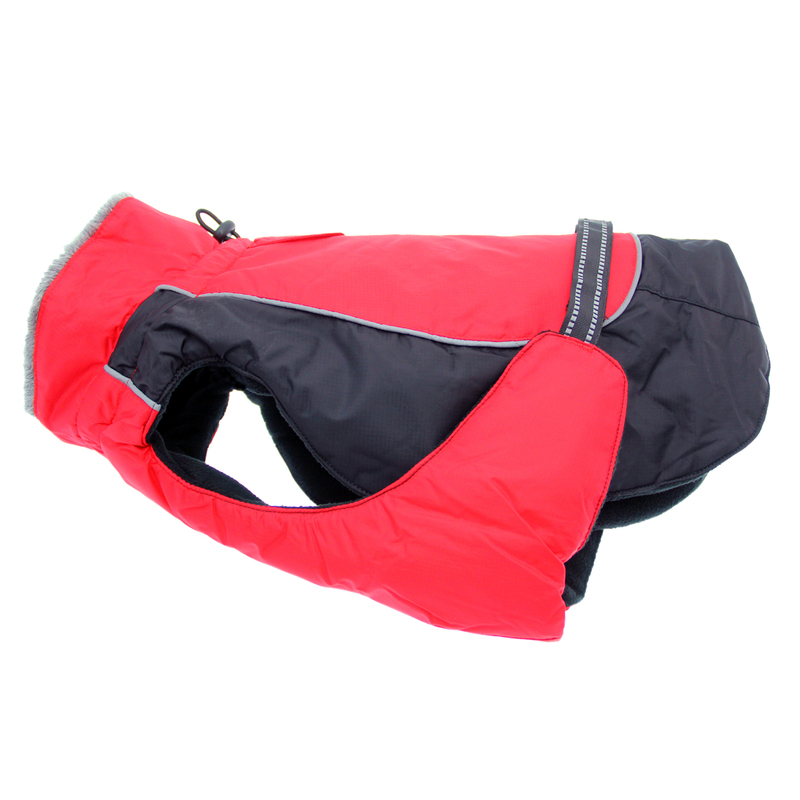 Finally, the interior is lined with a thick warm fleece. 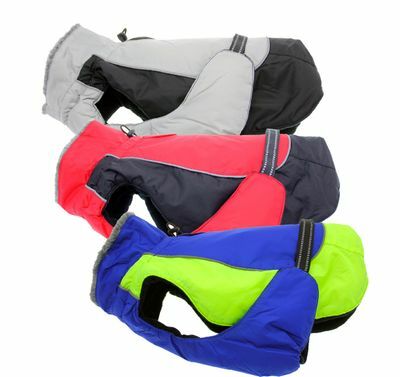 They come with adjustable straps, covered d-ring access hole (to connect a leash to an underlying harness), fur lined collar with neck cinch, and reflective night safety straps and trim. 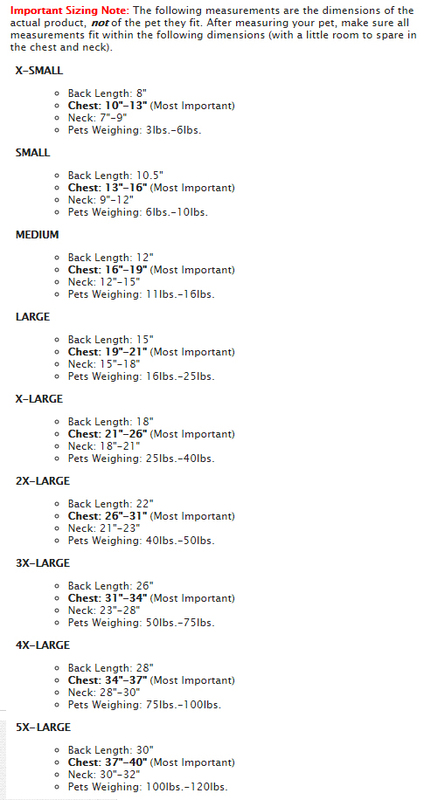 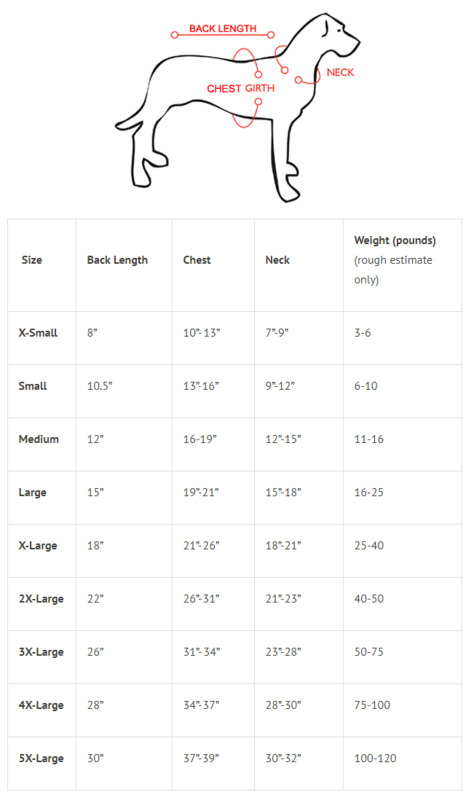 Important: Please consider all measurements and not just weight. 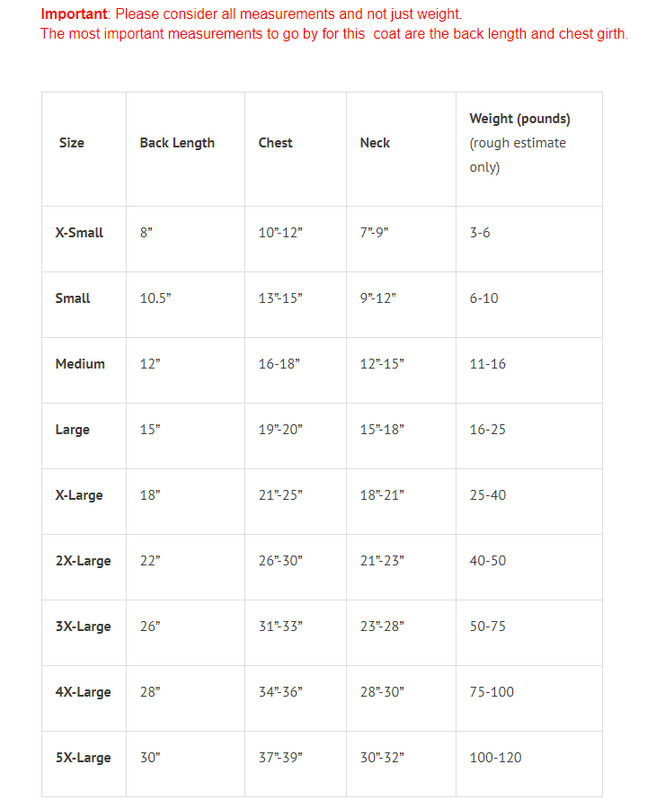 The most important measurements to go by for this coat are the back length and chest girth.